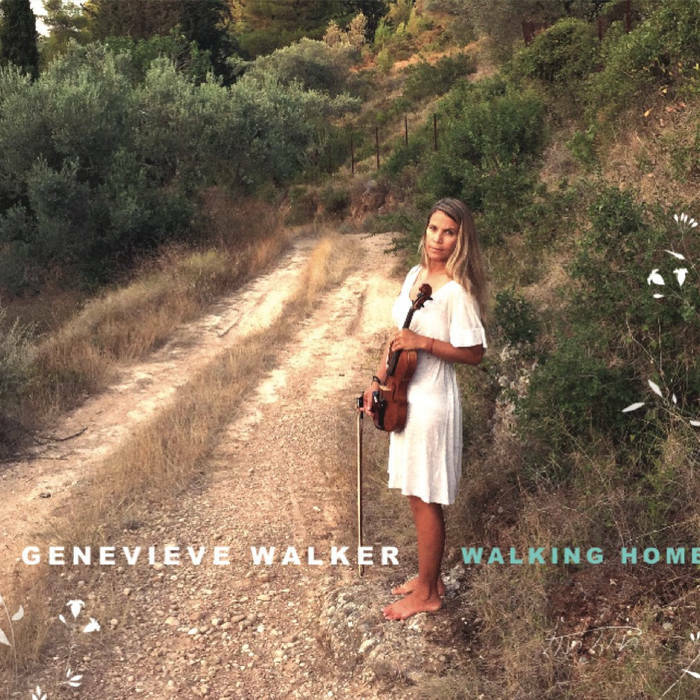 Walking Home is produced by Chris Gartner and features Genevieve Walker on violin, viola, guitar, and piano. It is her debut recording after spending years on the international stage with other acclaimed musicians such as Krishna Das. The music is referenced as minimalist which I can agree with however the combination of instruments creates beautiful soundscapes. The atmospheres are inviting and bring you a sense of calm and peace within. The cover of the CD can project many images for the listener. It looks simple enough with the artist on a dirt road holding her instrument (walking home?). The orientation to Walking Home could be your own road in life or home and then it could be a physical or spiritual place held deep within your soul. I think for the most part the human race is so caught up in their daily lives and events happening around them that we tend to forget our place and from whence we came. It gets more difficult to find that place of enlightenment and recharging we so desperately need sometimes. This music brings things back to basics. I found “Embryonic Voyage” to be very interesting. It is very rhythmic in nature and something as simple as the snapping of fingers changes the entire song. Simplicity rules yet it manages to get your attention while still making the track seem more every day without complexities. These are things we all need to hear after a busy day. The little things in life can make a difference. If you experience the voyage within the song and look at what the word embryonic indicates, it totally makes sense. It is a start, a beginning that leads to something more. “Falling” offers the beauty of emotion even if there is sadness. The music paints the colors of drama and the aching heart as it falls to the bottom of your stomach. Even so the music certainly carries hope and the awesome beauty of it shows the light shining at the end of a journey, like a beacon brightly leading the way. The emotion of this music is apparent at every turn. It really could be an effective soundtrack for the right movie or serve as a guide post for your soul to align with your thoughts and bring clarity. It is all instrumental so the absence of words allows for complete focus and reflection hence bringing a renewal to your spirit. “Mountain Refuge” is the important closing number. As you picture a place where you can go to find your peace it’s not hard to imagine. A place like Tibet where the Dali Lama and his followers learn to become one with their creator came to mind quickly. The beginning and end of the track has the echoing voice of those chanting to find their focus and connection to a higher power. It is a beautiful way to close out the recording but once you think it’s over the laughter of a child comes in to remind you of that innocence we all once had and how it can be easily recalled with the right attitude and music. I found all of the musical multitasking of the artist quite impressive. 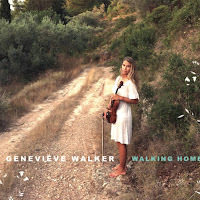 Genevieve Walker has a great start to a solo career with Walking Home there is no doubt about that. Take a walk with her, you never know what you may discover.